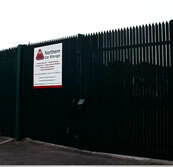 Northern Car Storage provides a range of cover to protect vehicles of all types and uses. 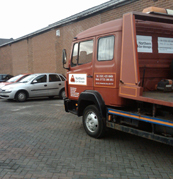 We arrange insurance cover for your stored car whilst it is in our storage facility. When you take your car out on the road, you will need your own insurance policy, which we can also arrange for you. It's also good to ensure you have sufficient breakdown cover, which we will be happy to discuss with you. We can also arrange your commercial insurance and motor home cover at very competitive rates. Our partner, BFX Capital, deals with a Ministry of Justice authorised management agency with over 25 years experience in handling Personal Injury Claims. The term ‘personal injury’ covers a broad range of injury and accident types. If you have been involved in an accident then the following information could be extremely useful for you. Personal injury claims can be complicated and time-consuming, but with the help of specialist solicitors, the process can be made much more simple and quick. Many people find that, following an injury, they need to take time off work to recover. However, the strain of financial difficulties can mean that they return to work too early, worsening the injury. Making a personal injury claim can ensure that you have the time you need to fully recover, without having to worry about your finances. Making a claim can also be a step towards preventing the injury happening to anybody else. For example, a claim made following car accident on a dangerous blind corner may result in the highways agency erecting mirrors to make the corner safer for other drivers, thus reducing the chance of the accident happening in the future. In fact, many people who make a personal injury claim do so for this reason alone, regardless of the amount of compensation they may receive. It’s important to have the best possible independent advice in order to assess the value and potential success of your compensation claim. Our personal injury solicitors can advise you on how much compensation you are eligible for and how long the personal injury claims process will take. Our personal injury solicitors will decide whether a no win no fee agreement is suitable for your claim and do their best to make sure you receive 100% of the compensation you are entitled to. Personal injury claims can be varied depending on your injury - from injuries sustained at work, on the road or in the street. Call us now on 0161 425 8224. Insurance Services, Car & Commercial Vehicle Insurance, Personal Injury Claims, Bolton, Bury, Oldham, Rochdale, Stockport, Tameside, Trafford, Wigan, Salford, Manchester, North West.